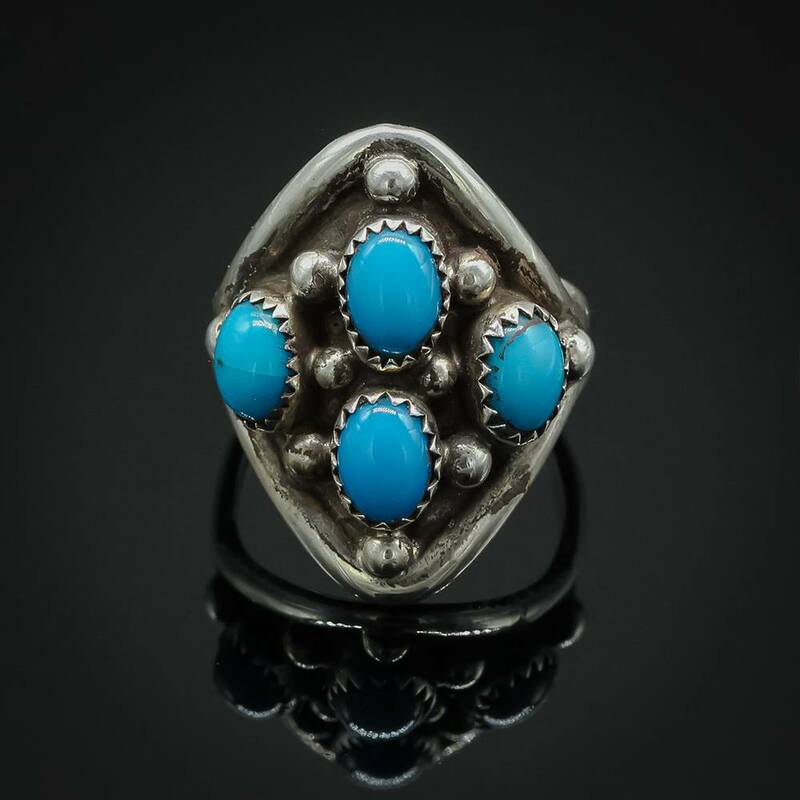 Size 8 Silver & Treated Turquoise Four Stone Ring. 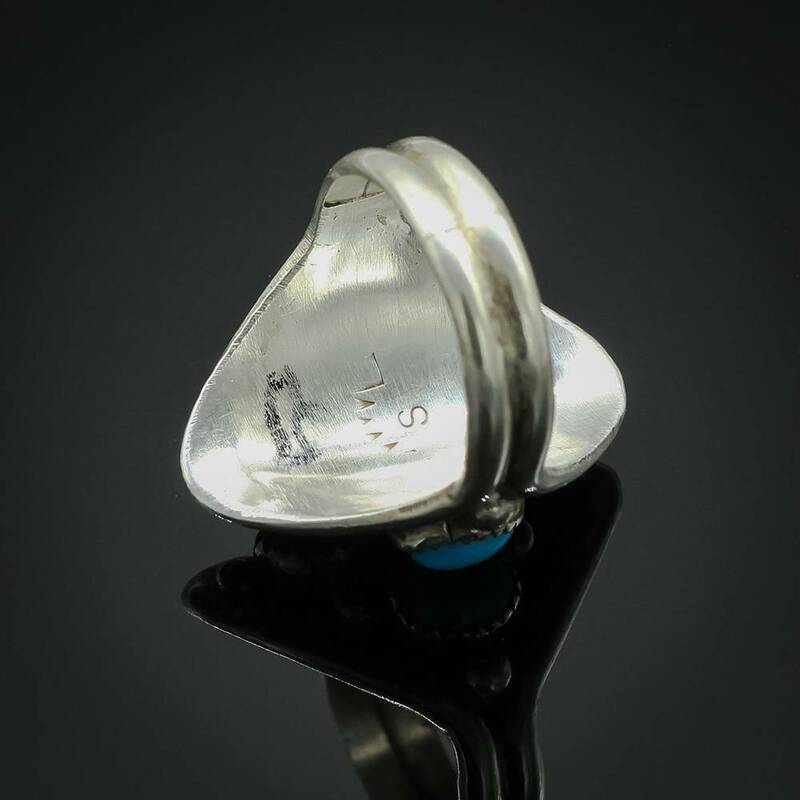 Ring Face Measures 7/8" x 1". 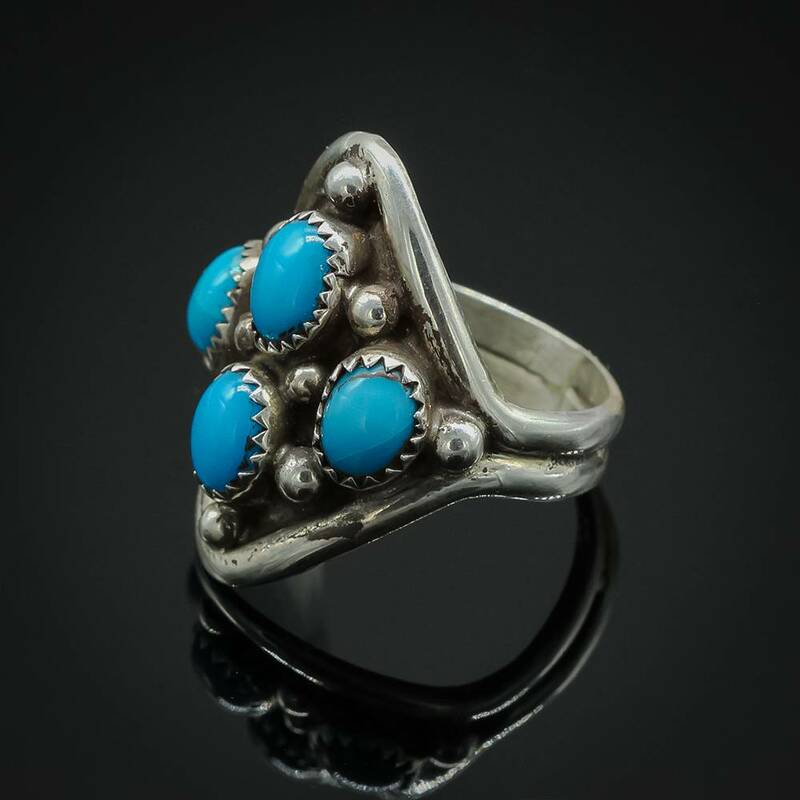 This stunning four stone treated turquoise ring features an amazing selection of beautifully colored pieces arranged to form a traditional diamond symbol which perfectly captures the spirit of the southwest.